Armour: A quick explanation about armour and then time for students to try on armour, this would need a hall or very large, cleared room to run properly. Led by HH staff. Surgery & Medicine: Amputation, tooth pulling, arrow extractions, bood letting and live leeches ( and much more depending on interaction of the students). Classroom required with table to set out items at front. Chairs for students. Led by HH staff. 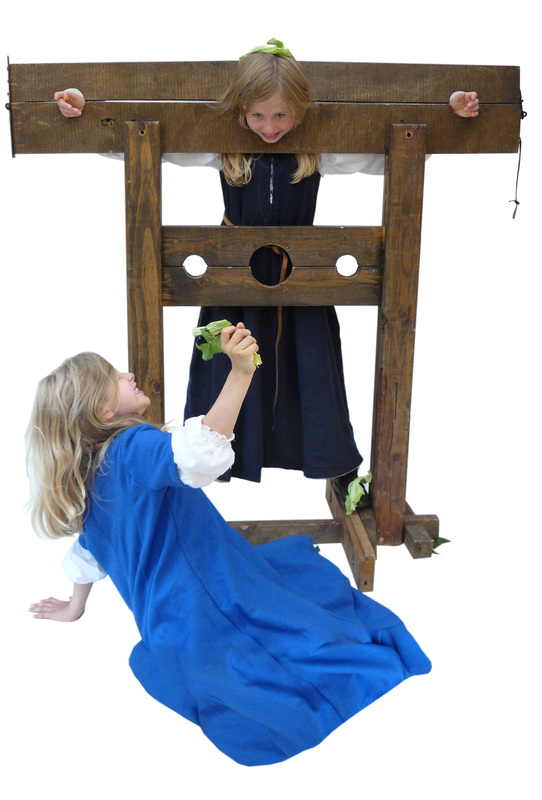 Crime & Punishment: Run as trials, with the students put on trial for various medieval crimes, with suitably medieval punishments. Classroom required with space for stocks & pillories at the front. Chairs or floorspace for students. Led by HH staff. Medieval board games: Teacher Led. Learning how to play a game of merles or 9 mens morris. We can bring boards, pieces and rules and instruct teachers in advance of the day on how to play. It takes 5 minutes to learn and a life time to master this game! You can learn to play here: http://merrelles.com/English.html. Children from age 8 up manage to play this game successfully. Classroom required. Tables & Chairs for students are required. Exam desks are ideal. 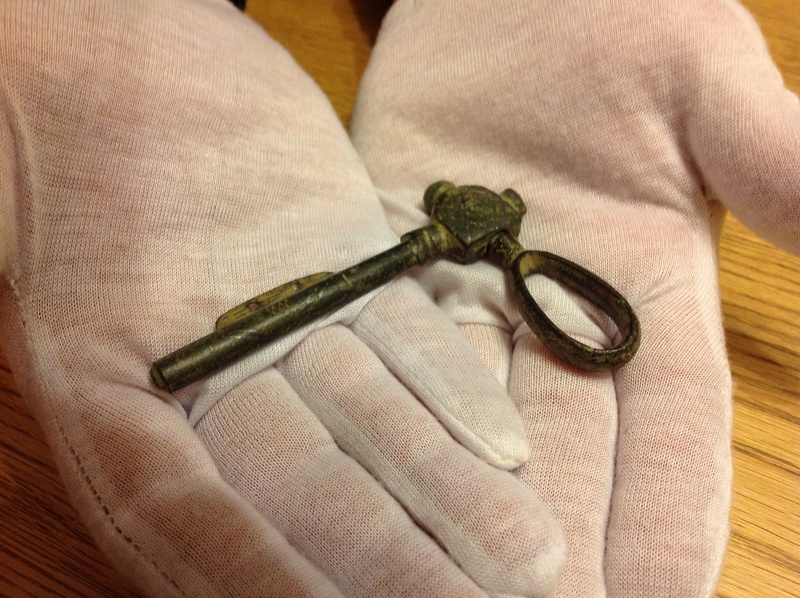 An original medieval brass purse hanger, missing one side. 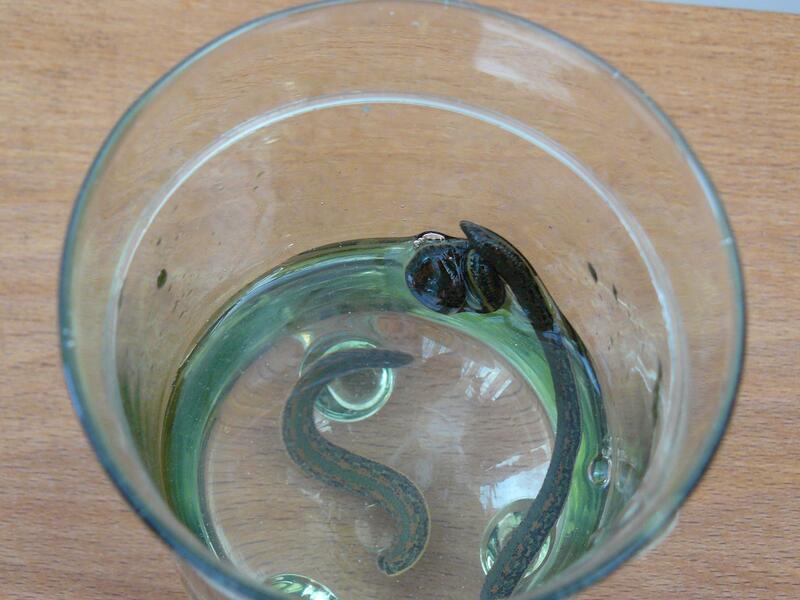 Artefact handling: Teacher led. The students are all archaeologists and have uncovered a skeleton of a man. They examine various original artefacts whilst studying a drawing of where the various objects were found on the skeleton. They need to identify & workout what the objects were. White gloves are provided for handling which the students love as it makes them feel very professional. Students then need to work out from the artefacts what sort of person they may have been and what their trade was. The artefact boxes include items such as keys, coins and rings. Many items they might recognise from their own life but some will be less familiar. Classroom required. Tables & Chairs for students required. 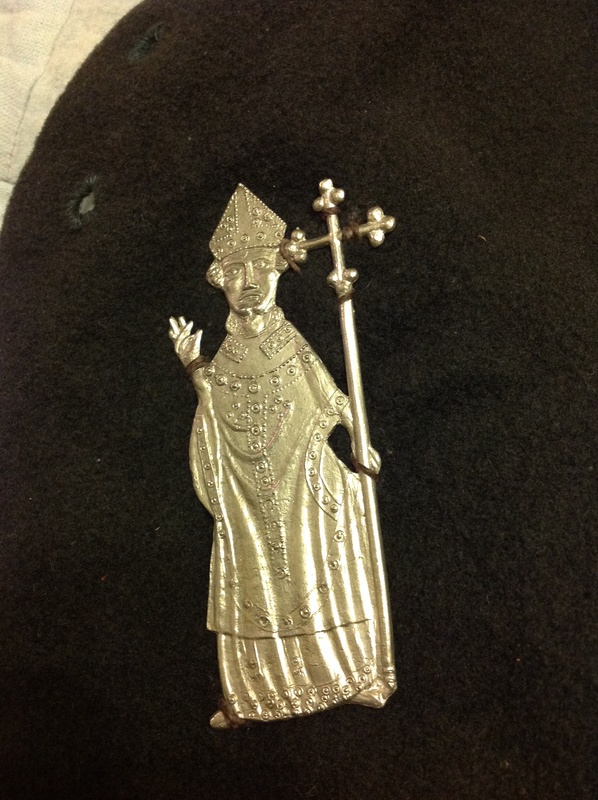 Thomas Becket Pilgrim Badges: Teacher led. Students examine reproductions of original pewter Becket pilgrim badges. The items are sewn on to various items such as medieval hats & doublets for the students to try on. A description of each badge is sewn onto the clothing. The badges depict various stages of Beckets life from his exile to his murder and beyond. The badges even include the weapon that murdered him and his gloves which hung over his shrine and were attributed with a miracle. There is a Becket bell too (the bells of the cathedral were said to have rung under their own volition as he was slain). The students are then encouraged to create their own design for a Becket badge based on what they know about his life. Info about Becket is included in case the teacher leading the workshop is not a history teacher. Classroom required. Tables & chairs are required for students.